Dr. Delgado absolutely loves being a holistic, alternative medicine practitioner and is grateful to have the opportunity to assist her community, in their journey, towards optimal health. She was born and raised in Houston and attributes her desire for patient care to the many afternoons she spent, after school in her father’s medical office, being witness to his attentive, patient interaction and genuine bedside manner. 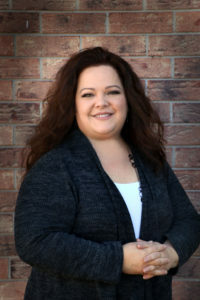 She attended Texas Chiropractic College in Pasadena, Texas, graduating in 2008; becoming board certified by the Texas Board of Chiropractic Examiners. Through her chiropractic training she was educated on the importance of nutrition and it’s essential role in overall health. Although chiropractic has been her main focus, for the past 10 years, she decided to redirect her focus towards nutrition in an effort to address her own health issues. Having been introduced to Nutrition Response Testing, she was fascinated with it’s accuracy in determining the source of dis-ease and how it correlates to the energetic matrix within our bodies. Dr. Delgado is excited to share her experience and passion for nutrition, through Nutrition Response Testing, to families in her community; helping them to attain their health and wellness goals.